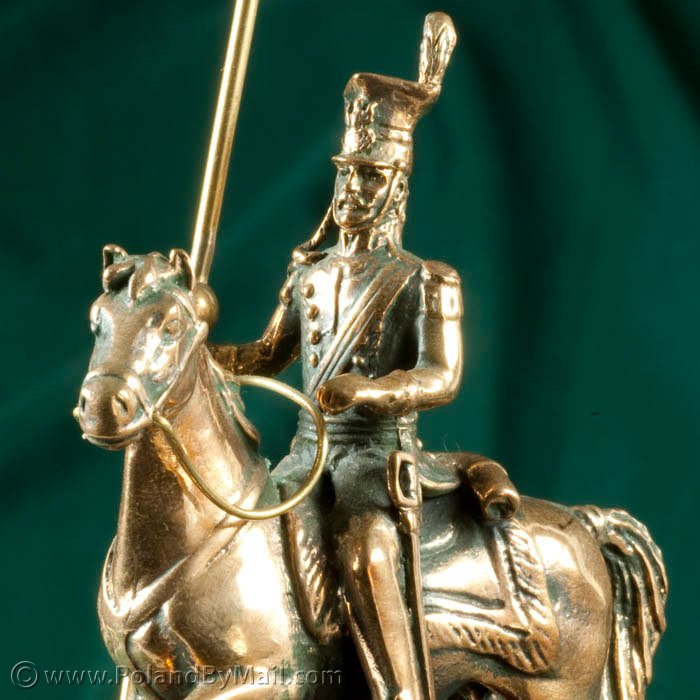 This exceptionally detail bronze statue of a Polish Napoleonic Lancer is entirely made by hand by an individual artist in Cracow. Riding on his horse, wearing his czapka or square-topped cap, and with his sabre at his side, he proudly parades his lance with the flag waiving on top. Statue sits on a rectangular wooden base with "Kraków" in bronze lettering on in front. Sculpture measures 4.25" Tall to top cap feather. Total height is 6.5" including lance. 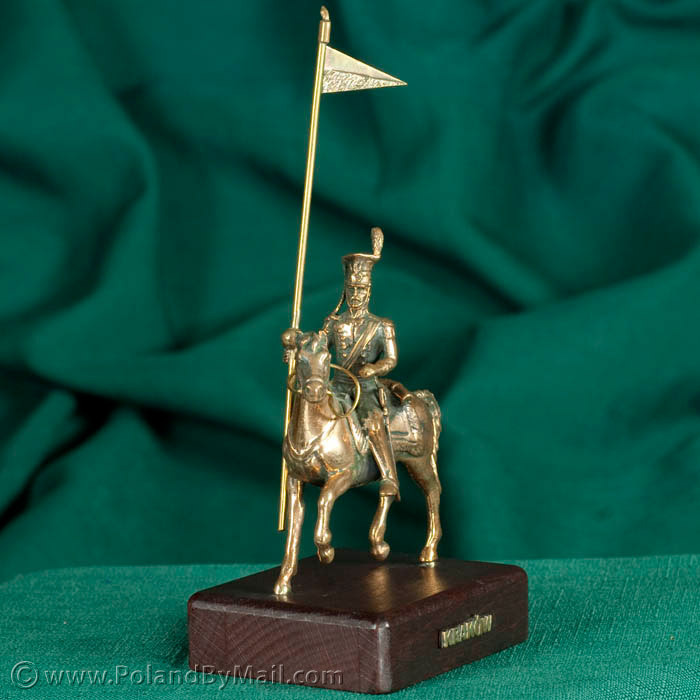 Lancers (called ułan in Polish) during the 17th-19th centuries were cavalrymen who generally fought on horseback with the traditional weapon of choice, a lance. They were true volunteers, who owed their honored place in Napoleon's Imperial Guard to their proven courage on battlefields from Spain to Russia.